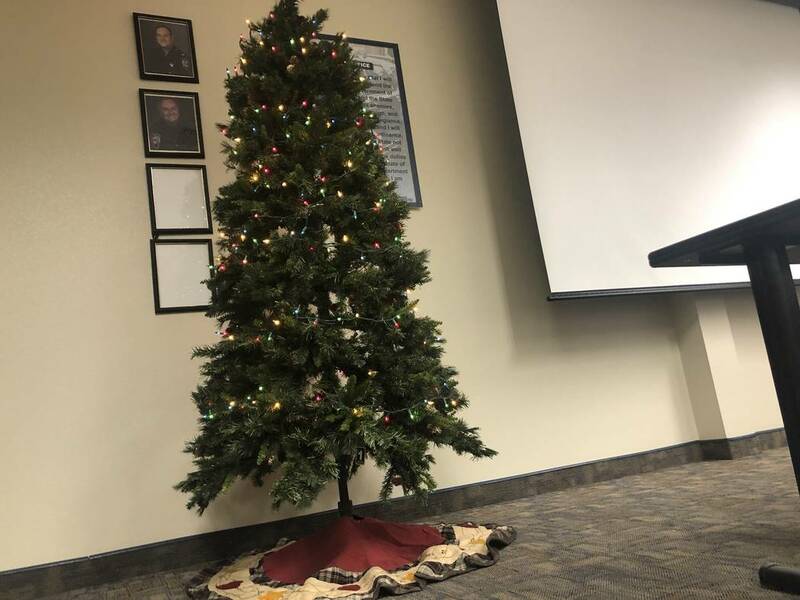 Nevada Highway Patrol troopers working the graveyard shift set up a Christmas tree Friday night to celebrate lives potentially saved this holiday season. 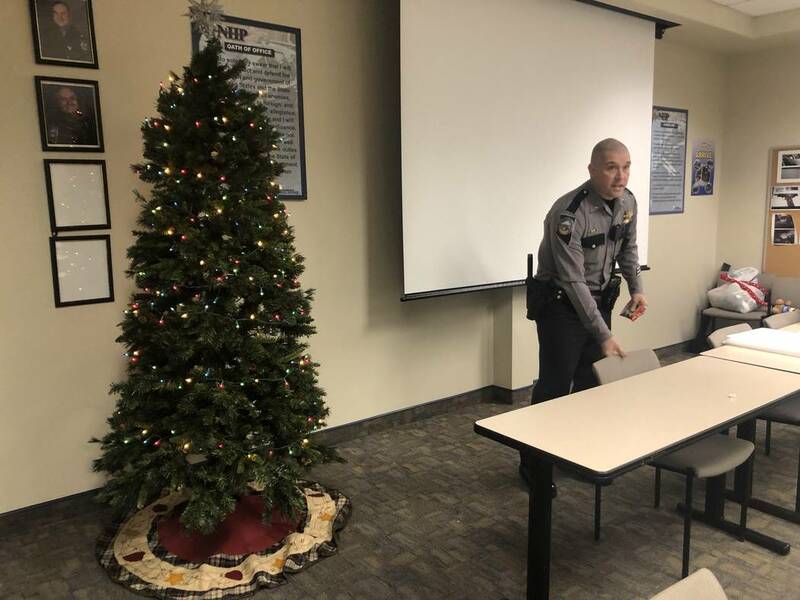 Every time a trooper from the Highway Patrol’s southern command arrests an impaired driver, a new ornament will be added to the Christmas tree, dubbed the Life Saving Tree. 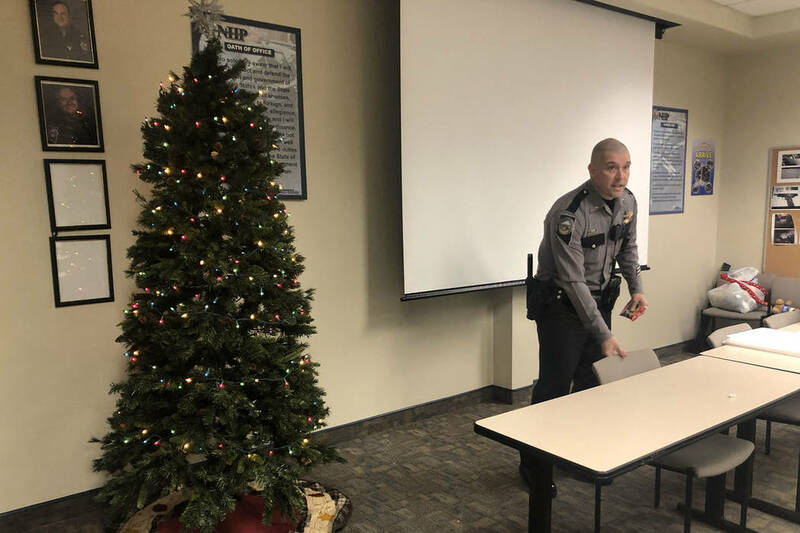 Each ornament will represent a life potentially saved by removing an impaired driver from the Las Vegas Valley’s roadways during late nights and early mornings, NHP Lt. Anthony Munoz told troopers at their briefing Friday night. 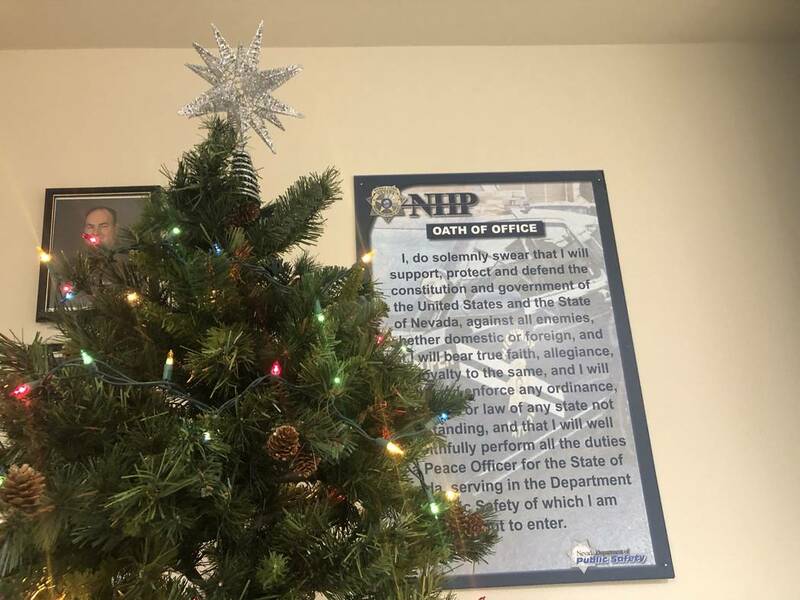 NHP spokesman Jason Buratczuk said people drive impaired at all times of day, but the graveyard shift started the Christmas tradition for themselves last year. However, the number of DUI arrests slightly increases in the overnight hours, when there are fewer troopers on the road. The Highway Patrol typically has three squads of five to eight troopers during daylight hours, Buratczuk said. But only two squads work overnight. Because of vacation, sick days and mandatory training, the graveyard shift is almost never fully staffed, he said. Even with the fewer numbers, the overnight troopers take pride in preventing potentially fatal crashes. Every time a trooper makes a DUI arrest, each writes their badge number and the date on an ornament to hang on the Christmas tree, which sits in the Highway Patrol headquarters at 4615 W. Sunset Road. Last year, about 160 ornaments hung from the tree by the end of December, Munoz said. With about 22 troopers on the graveyard shift, they’ve already arrested more than 1,000 impaired drivers this year, and they expect many more arrests in December. Buratczuk said impairment doesn’t just come from alcohol consumption. Impairment also can come from illegal narcotics, prescription pills and marijuana. He said people over the holiday months should use taxis or ride-share services, a better alternative than facing a DUI felony and car tow payment. Most importantly, using such ride services prevents people from killing others. The number of DUI arrests also has dropped in past years in the valley, likely because of the availability of services such as Uber and Lyft, Buratczuk said. “The ride shares have stepped up big in this town,” he said. But from Thanksgiving to New Years, troopers seem to be more likely to find DUI drivers on the road, he said. 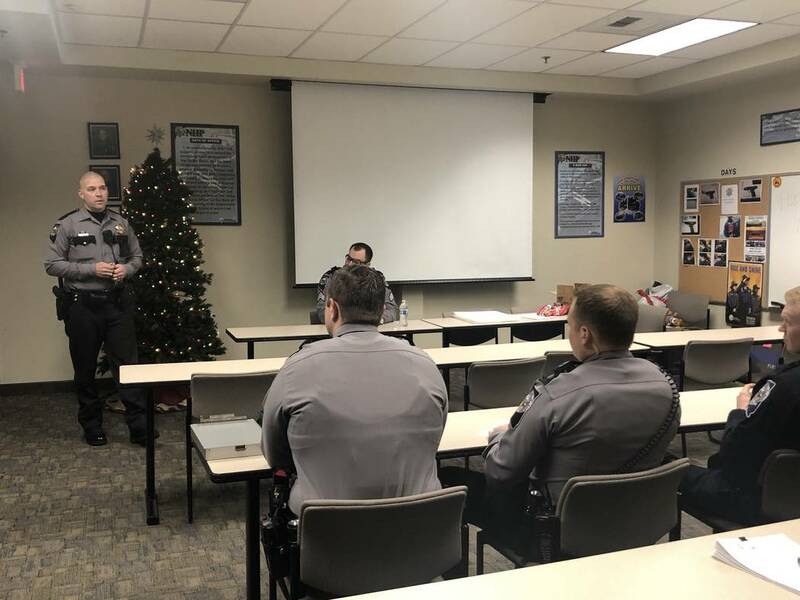 Nevada Highway Patrol spokesman Jason Buratczuk gave a few tips Friday on how drivers can be wary of people impaired on roadways. — Make sure intersections are clear before continuing after red lights. — Don’t drive in the left travel lane while on the highway. Impaired drivers who get on the freeway in the wrong direction will usually drive in what they believe is the right travel lane. If you’re driving in the correct direction in the left lane, you may not see an impaired wrong-way driver with no headlights. Head-on highway collisions are often fatal, Buratczuk said. — Call 911 or Star-NHP if you see a possible impaired driver. This counts as an emergency, and you will not receive a ticket for using your phone while driving.